Introducing the new Wilbur 45′! It was a beautiful day to launch the new 45′ we have been working on. Ran preliminary sea trials – will haul tomorrow to re-pitch the prop and finish a few things up for full blown sea trials next week. 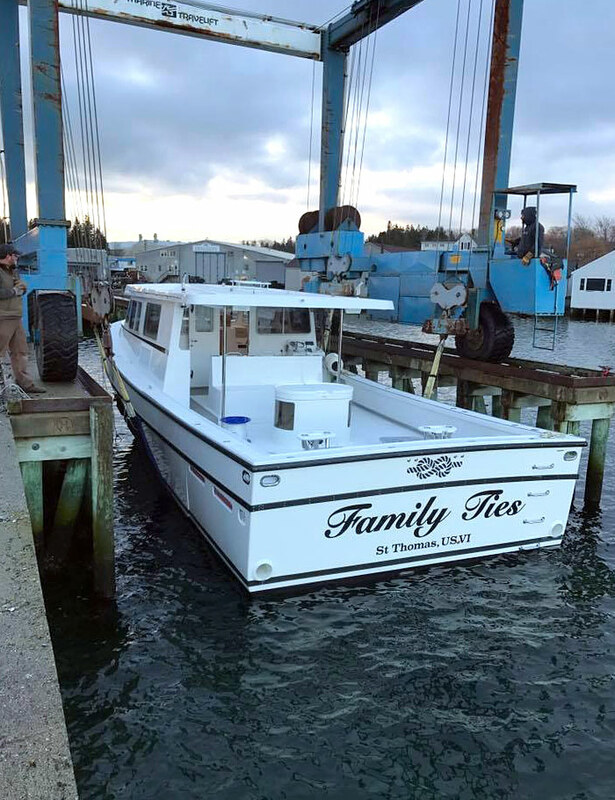 Then the boat will be headed south to her new home in St Thomas USVI just after Christmas. We’ve been quite busy with ‘Persephone’. We doubt you would recognize her! It has been such a thrill to watch the evolution from “in need of a good home” to the show girl she is fast becoming. This year marks the third season of fun in our 34’ Wilbur and we couldn’t be happier. We took on the task of putting a new Soundown ceiling in this year as well as re-painting the galley and helm station. No divorce court yet so we guess we can handle anything. Everywhere we go, people comment on what an extraordinary boat she is. 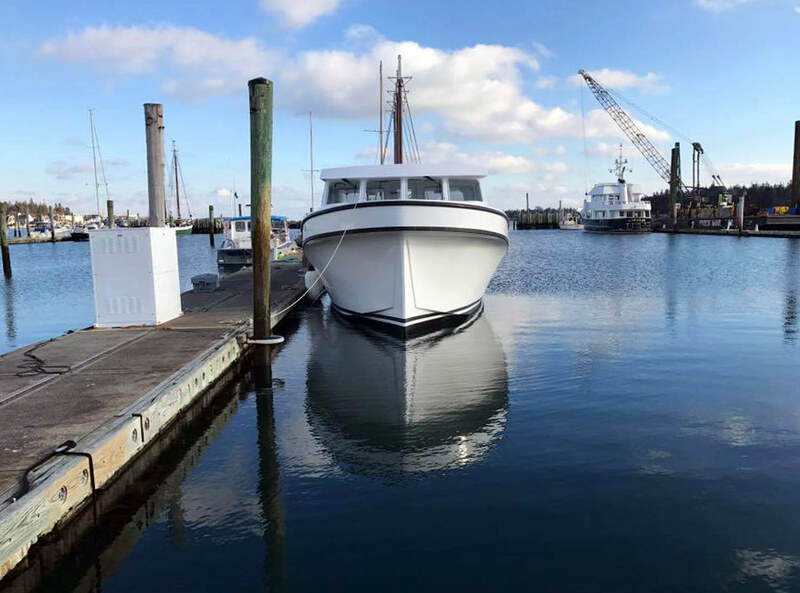 There is not a weekend that passes that we are not either cruising to Block Island, fishing Long Island Sound or Montauk, or just plain enjoying the ride from the Mystic River. Can’t wait for your next reunion! We are so anxious to show her off. Regards to all ….without your crew this dream would never have happened! P.S. Love the picture at the end of Lee’s articles! That picture will always be a favorite of ours.